What has changed in the rules for Instagram hashtags in 2018? Algorythms of work of social networks change faster than we are able to adjust to them. 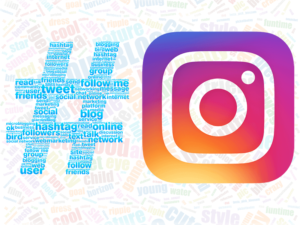 Here in this article we want to tell you how to use Instagram hashtags in 2018, taking its new features into account. If some time ago we could post in prime time for getting a stable amount of impressions, then now one needs to take a lagre amount of small movements, so that the reach does not fall. Working with hashtags now has one of the key positions in this process. Recent myths on shadow bans have also become a background for other new myths, which are not supported with the statistics, but only with observations. But one can be said for sure – now you cannot just copy the same hashtags from the previous posts, like you were doing before. Now it’s important to write relevant hashtags for your posts manually, mixing them, and avoiding any possible repeats with the previous posts you had. Otherwise Instagram will recognize your account as a spamming one and will start lowering organic reach of your posts. What’s more important – you need to take care putting relevant (!) hashtags on your post. Recently there was introduced a function of hashtag subscription, which was supported with the button ‘do not show this post by this hashtag’. And this means that if your audience will report on your posts for being irrelevant, this post will be excluded from the list of posts on this specific hashtags, and your next posts will get lower reach. 3. What is the easiest way to find such local hashtags? 4. Where to put hashtags? One more advice is not to use overpopular hashtags, such as #selfie or #like4like. Thousands of Instagram posts use such hashtags every second, thus, the possibility of your posts to be noticed is ridiculously low. Local hashtags. These are becoming more and more popular and effective. Usually they cover up to 100.000 posts by the hashtag, and work the most effectively for your target audience. What is the easiest way to find such local hashtags? The easiest solution is checking the most popular bloggers, whose accouns are in the similar field as yours. You can check their posts and pick up to 20 new hashtags for your posts, picking the most relevant ones for each specific topic. Also, when you follow a hashtag, you can find similar options on the list of relevant hashtags. There is a big argument if to put hashtags in the very description of the post or to write them under it, in comments? Official Instagram says that hashtags in comments are allowed. Although, there is one tricky moment – when you incude hashtags inside your post, you can see statistics on how many users have found your account through hashtags, and if tags are mentioned in comments, this statistics is not reflected. What does it mean? Leaving hashtags in the very text of the post you can make analytics on which posts work good, and which don’t. And, you won’t be able to perform such research if you will be leaving hashtags in comments. You can also create your own unique hashtag and propose your subscribers to follow it. In this case, it’s much more likely that your posts will be seen. Add relevant hashtags to your stories. In this case, these stories will be seen by everyone who checks posts by this hashtag. The same applies for geolocation – add it in stories for increasing their reach. If you don’t want it to be seen in your sories, you can zoom it to minimal and to shift it to the edge – it will be too small to be noticed, and at the same time the story will still be in selection by tag or location. So how many should you really use – all 30 or as less as possible? There are many discussions on this topic, but we assume that it’s better to make use of all 30, thus increasing the reach of your post. 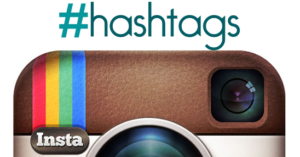 How to promote your Instagram account through using trending hashtags? Get them in two hours with Leogram service. join us to get a discount! Spend 10 minutes and be see how easy you can get new targeted followers on Instagram. You will get only real followers, who will like and comment your posts. The more targeted followers you get, the more popular you are. Start promote yourself and become famous! LEOGRAM will increase recognition of your company to up its website traffic and sales in the result.